Since we had to post pone Christmas with Matt's family, we did it a few day late. Unfortunately Sid is still in the hospital and could not join us, and we missed him. Prayers for him are very much appreciated! He is still fighting that pneumonia something fierce. We still got together with Matt's mom and his brother Mike and family to celebrate since we had everything ready. 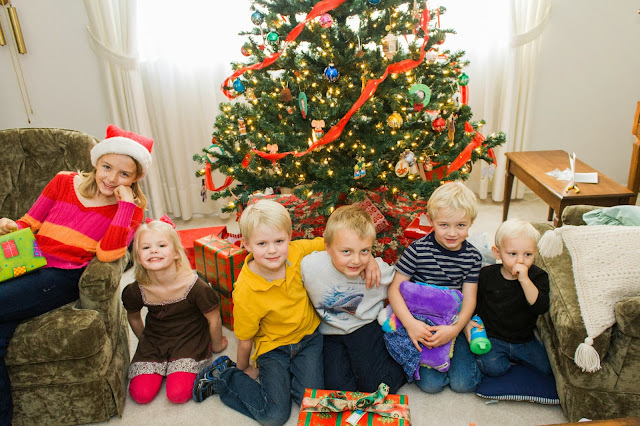 The kids of course had fun running around outside and playing and exchanging gifts. So happy that these kids can have cousins close by who are close in age :) They love each other! With our Christmas taking an unexpected turn we made the best and had a great day. 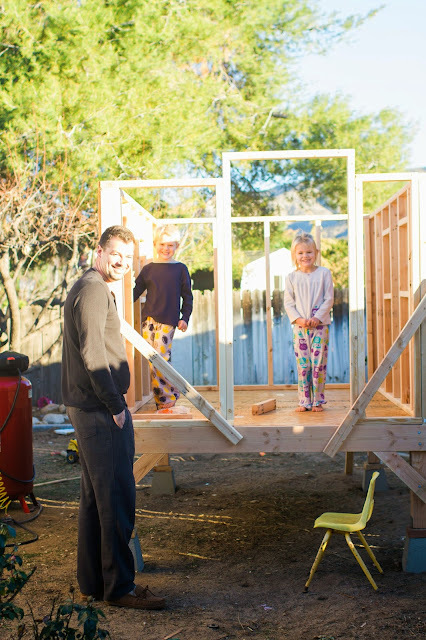 We had one VERY big surprise for the kids that we've been planning for months.... a playhouse :) Matt designed it himself but only started building it the day before Christmas Eve. He told the kids he was building a shed, and Ethan was very eager to help him. On Christmas morning we took them outside and told them what it really is, and they were beyond excited. It still needs to be finished, and hopefully that will happen within the next week or two :) It's going to be very cool!!! We then went inside and opened stockings in the morning and played with all of our fun new toys. I also made homemade cinnamon rolls.... yum. 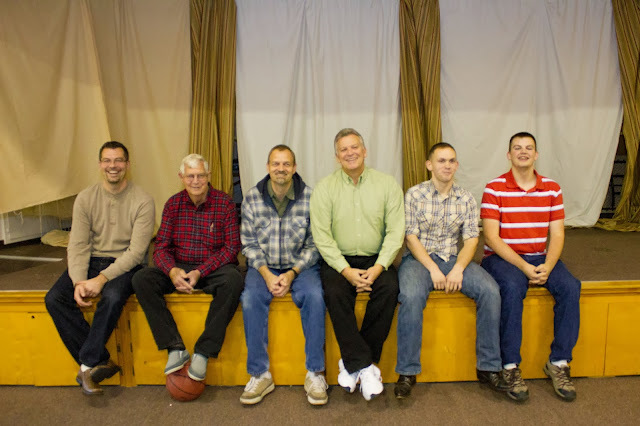 The grown guys in our family (including Josh who is marrying my niece Amanda in June). They had a pinata for the kids, which of course was a hit.